"IT for those who know about IT"
It was very easy for me to use because I have IT knowledge. We were using it for the fire dept nearby and it was helpful for them to keep up with the different locations that they had been to. The database was easy to manage, for me. There are many options too. It is great for tablets, desk tops, and mobile phones. The cloud used in this program works with most operating systems as well. Many colleagues were unable to use it because they do not have basic IT knowledge and it moved slower than I am used to. The information is incredibly easy to read and record. This is incredibly helpful for those who need to track and record fires as part of their daily job. We were trying to help the local fire chiefs to monitor fires in the area and help plan for ones that could possibly come in the future. Living in a dry area of Colorado, we need more programs like this one! * We monitor all StationSmarts reviews to prevent fraudulent reviews and keep review quality high. We do not post reviews by company employees or direct competitors. Validated reviews require the user to submit a screenshot of the product containing their user ID, in order to verify a user is an actual user of the product. Hi there! 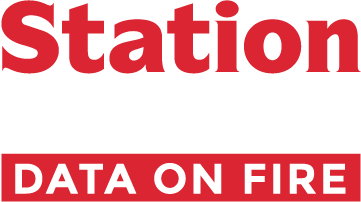 Are you looking to implement a solution like StationSmarts?